Words can be quite colorful and often not as black and white as they would appear. When accentuated with an exclamation point or a question mark, a phrase can instantly become an exclamation of amazement, disbelief or confusion. 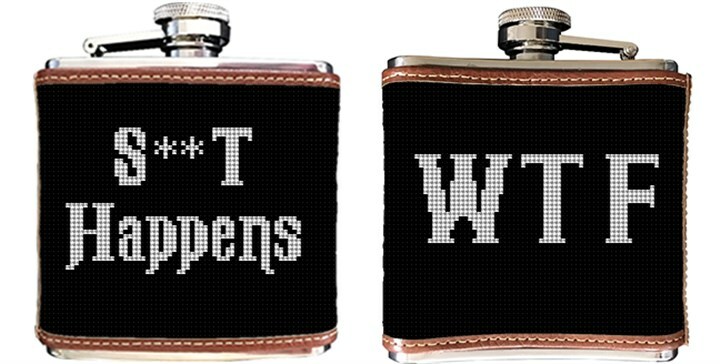 Express yourself with our needlepoint flask, it's pretty black and white.